After initially not being convinced they were authentic char siew pow, we now totally love these buns. The filling was again leftover lamb diced finely with oyster sauce, hoisin sauce and soy gravy. I left out the onion and used the homemade thermomix chicken stock for additional flavour. Yum yum yum. 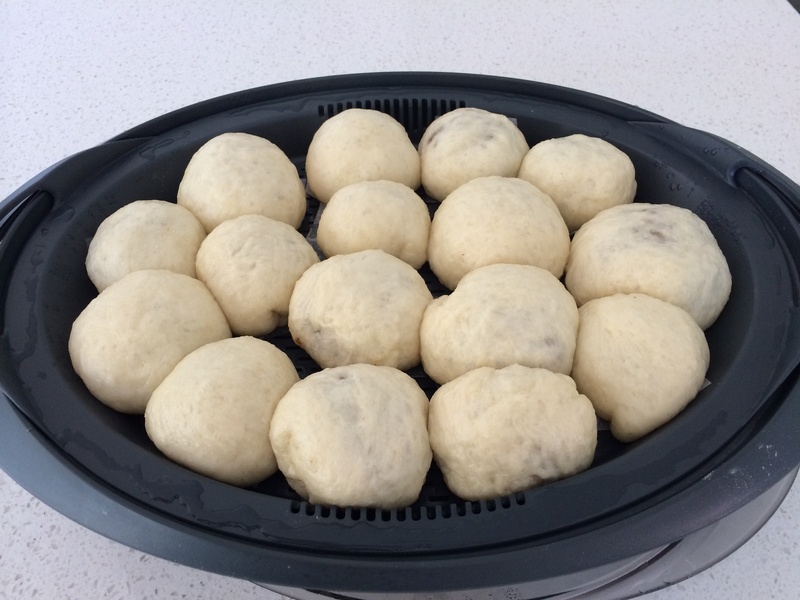 The thermomix is king, the dough was so easy and took literally less than five minutes to make in total. 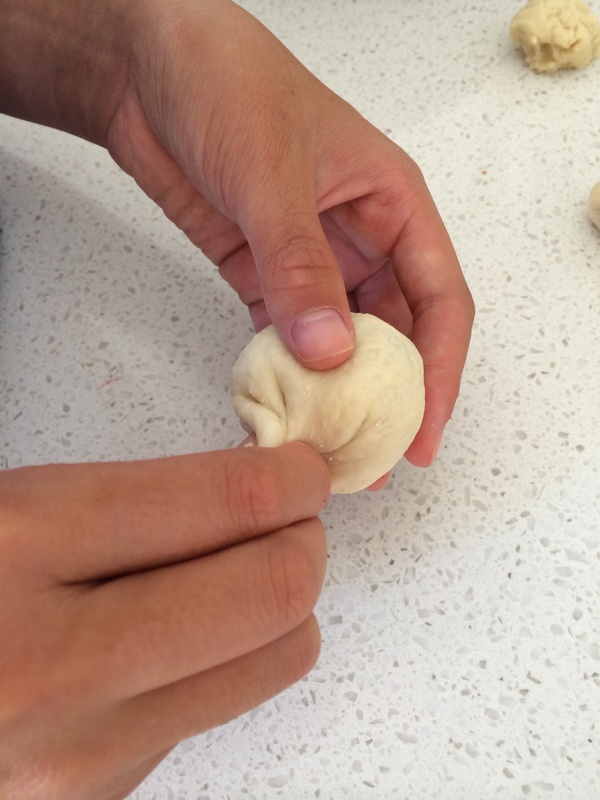 Miss 13 helped me roll and wrap the filling, then into Varoma to steam for 10 minutes, t’s a super quick scrumptious lunch.